CC Sabathia's strength and power on the mound is matched only by his humility and sportsmanship. This fascinating book follows his rise to baseball superstardom. After winning the Cy Young Award in Cleveland, Sabathia just got better every year. All eyes were on the big pitcher when he signed a record-breaking contract with the New York Yankees in 2008. 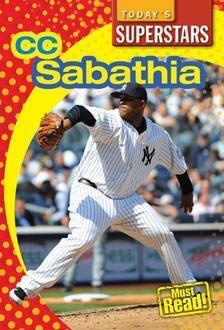 Sabathia's talents and efforts earned him the 2009 ALCS MVP award and the 2009 World Series championship. Inspire your readers through his fascinating story.